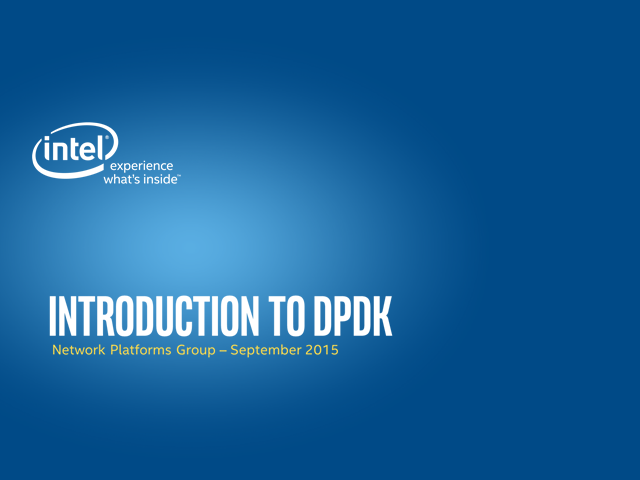 Introducing the key concepts of Data Plane Development Kit (DPDK). The first in a series of 3 webinars. DPDK is a set of libraries and drivers for fast packet processing. It was designed to run on any processors, knowing Intel x86 has been the first CPU to be supported. Ports for other CPUs like IBM Power 8 or EZchip TILE-Gx are under progress. It runs mostly in Linux userland. A FreeBSD port is available for a subset of DPDK features.